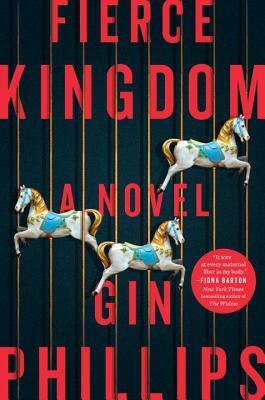 This entry was posted on Monday, February 19, 2018 and is filed under Book Review,Fiction,Fierce Kingdom,Gin Phillips,Mass Shooting,Mother,Suspense,Zoo. You can follow any responses to this entry through the RSS 2.0. You can leave a response. Oh my goodness, I hadn't heard of this book, but I'm sure it was heavy on your heart with the Parkland shooting news! A similar thing happened to me. The book "The Good Daughter" was on hold at the library for me, and it arrived in my Kindle books last week. I finally started reading it on Friday...had no idea it was based around a school shooting. Hard to read, for sure! It is definitely tough to digest given these tragic events. I remember being equally affected when I read The Good Daughter last year. But I also remember really enjoying it. Did you get a chance to read the prequel novella to that one? *Crying* Parkland is heartbreaking. I am glad you were able to glean something positive from this book. I struggle with violence in books, but like that the author used it as an impetus to explore the relationship between mother and child. This fiction was definitely harder to digest given everything going on in the real world. Still, the author had a beautiful message of finding the good things that can come out of a tragedy. I'd argue the students of Parkland are doing their part to make that happen!